Avaprex 1200mg is a nonprescription weight loss pill that is marketed as being an alternative to Phentermine, a highly popular prescription diet drug. 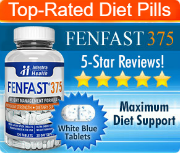 This pill does have an official website, which includes a broad range of different claims regarding the ways in which it is supposed to be able to assist dieters in reaching their goals. According to the manufacturers of Avaprex, this product is revolutionary and has already assisted many people in reducing their weight and achieving their goals. The official website states that this supplement combines a number of high-grade botanical ingredients. It is said to function by reducing hunger pangs, balancing and strengthening the heart, and controlling cellulite. 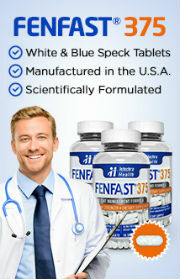 The manufacturers go on to say that this pill will help to improve digestion and enhance endurance. In fact, among the long list of claims, it even says that this pill will improve the skin tone. If it works, Avaprex 1200mg should be considered to be a miracle pill. However, it is important to look at the ingredients that make up this product before taking it at face value. The ingredients identified on the website at the time of this review include: raspberry ketone, green tea, caffeine and a proprietary blend of apple cider vinegar, grapefruit, kelp, acai, african mango and resveratrol. 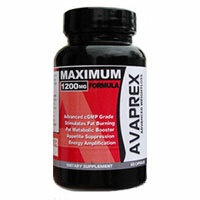 The primary ingredients in Avaprex 1200mg diet pills are raspberry ketones, green tea and caffeine. Raspberry ketones and green tea extract are known for their antioxidant properties that help to eliminate free radicals from the body. Caffeine is well known for its stimulant properties, and is said to suppress the appetite, as well. Potential side effects of taking products that these ingredients – due to the fact that they contain stimulants – include dry mouth, insomnia, anxiety, jitters, constipation, and others. The risk of these side effects increases when higher doses of this substance are taken. These warnings are carefully outlined by the manufacturer, which is commendable as many manufacturers in this sector of the industry pretend that because their ingredients are natural, they cannot produce unwanted effects. According to the manufacturers, Avaprex must be taken over a period of three months for effective weight loss, and dieters can begin seeing results within a period of two weeks. This product can be purchased online.